The North Richmond Medically Supervised Injecting Room (MSIR) opened its doors on 30 June, and it’s already been hailed a success. Over its short time in operation, staff at the facility have treated over 140 people for potentially fatal overdoses. The MSIR is operating out of the North Richmond Community Health (NRCH) site. And the response of those who’ve been utilising the room has been so strong that there’s already a need for expansion. So, plans for the construction on a purpose-built facility are underway. Not only does the MSIR reduce overdose deaths, but it removes drug use and discarded injecting equipment from the streets, it reduces the spread of blood-borne diseases and it provides a gateway to health and social services to some of the most marginalised members of the community. The campaign for establishing a safe injecting facility in North Richmond had been going on for over a decade. 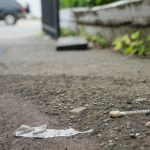 The local area has long been the site of an open street drug market, and with it came the overdose deaths and discarded needles in the streets. There was strong support from local residents. Victoria Street Drug Solutions was a leading voice in the campaign. In February last year, the group organised a protest that saw 700 locals take to the streets calling on the state government to open the facility. A turning point came when Victorian premier Daniel Andrews made the bold move to approve a trial of the facility on 31 October last year. The Labor leader was responding to recent statistics that showed that 34 drug-related deaths had already occurred in the local council area that year. Passed late last year, the legislation that allowed for a two year trial of the MSIR, with the option of a third year, was largely modelled upon a bill that Victorian Reason MLC Fiona Patten introduced into parliament in February 2017. 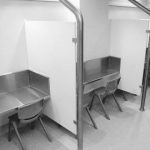 Sydney’s Uniting Medically Supervised Injecting Centre (MSIC) is a shining example of how beneficial a facility like the one just opened in North Richmond can be. The MSIC began its trial in Kings Cross back in 2001, when the local area was suffering a similar overdose crisis. The MSIC became a permanent fixture in 2010 due to its resounding success. Over its time in operation, ambulance call outs had dropped by 80 percent, public injecting and discarded syringes had halved, robbery and property offences were down, and there was no increase in drug offences. The centre in the Cross has prevented over 6,000 potentially fatal overdoses. And as Dr Marianne Jauncey, the medical director of the facility, has pointed out there’s never been a fatal overdose at any of the safe injecting centres around the world. Sydney Criminal Lawyers® spoke to NRCH chief executive officer Demos Krouskos about the impact the MSIR is having in the local area, the process clients go through when presenting and some of the benefits a facility like it brings that may not be so apparent. Firstly, the North Richmond MSIR began its trial a little over two months ago. What would you say its impact has been so far? In the first two months of operation, the medically supervised injecting room had a total of more than 8,000 visits, had up to 200 client visits a day, and staff had safely responded to more than 140 overdoses, many of which would have otherwise been fatal. There have been no fatal overdoses inside the medically supervised injecting room since it opened on 30 June 2018. There is a high level of satisfaction from clients in regard to the services provided by the MSIR. It’s important to note, it is very early days of a two year trial and the facility has to be given the time to achieve its purpose. An independent panel of experts will review the trial and report in 2020. And for a person who’s presenting at the room for the first time what should they expect? What’s the process they go through when they front up at the safe injecting centre? The MSIR works in several stages. On a person’s first visit to the MSIR, staff will discuss the client’s medical history and personal needs with them. If they are eligible to use the service, they will be registered as a client. Following this registration and assessment, the client progresses into the injecting zone, where they are provided with sterile injecting equipment, given advice about safe injecting practices, and then supervised by qualified health staff. After a client has injected, they will dispose of any needles and syringes safely. Clients are then able to move to an aftercare space, where they can talk further with staff about their wider health and social support needs. They will have access to the centre’s broader health services and be able to be referred to other specialist health and support services, such as drug treatment. Clients will be supported to stay in the MSIR until they feel ready to leave. The overt results a centre like this has is that it saves lives and it also removes the open use of drugs from the streets. But, there are somewhat less obvious advantages and extra services that a facility like this brings. Can you outline what some of those are and why they’re so important? NRCH is a multi-service primary health provider and is well-resourced to respond to a person’s broader health needs in a holistic manner. These services include medical, dental, counselling and Allied Health services. If a person needs a service like mental health support, wound care and blood testing, they can access it through the MSIR. We also provide a pathway to other treatment, rehabilitation and support services. We provide care for many people who do not normally access health and support services. Our clients have reported appreciation and gratitude for being provided with a safer space that meets their health needs. 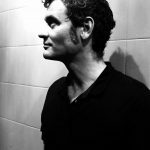 When the Andrews government initially approved the centre, there was a question over whether the use of methamphetamine would be allowed in the facility. What’s happened with that? This matter was referred to the MSIR Expert Advisory Group. 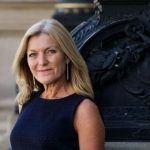 The group was chaired by Professor Ingrid van Beek, the inaugural medical director of the Sydney Medically Supervised Injecting Centre and it included experts from health, addiction medicine, law enforcement, consumer and community sector representatives. Based on leading practice around the world, including at the Sydney Medically Supervised Injecting Centre, all drugs of dependence are permitted in the MSIR. Evidence from around the world shows that allowing all drugs of dependence is important in reducing harm from injecting drug use. There are over 100 facilities worldwide, and only one is known to restrict access based on drug type. Evidence showed that this approach limited clients accessing the service, and prevented that service from meeting its objectives. Data from the first two months of operation indicates that at approximately 98 percent of visits clients reported injecting heroin, either alone or in combination with another drug. There was a groundswell of public support for the North Richmond MSIR, but there was also some opposition. How would you say the local population has responded to the facility so far? The MSIR has broad community support, including from members of the school community, local business and residents. There’s already been talk about the facility needing expansion. And, plans for the construction of a purpose-built site are underway. Just how much larger will the new centre be? And what sort of changes do you expect this will bring about? While the transitional MSIR is large enough to meet initial demand, extra capacity will be needed as more people become familiar with the service later in the trial. The purpose-built facility will have more booths to ensure people can inject under medical supervision. There will be more counselling and treatment rooms and space for other health and social support services to co-locate at the injecting room. And lastly, what’s the next step for the MSIR? How do you see the trial progressing? The trial will be reviewed and evaluated by an independent review panel chaired by Professor Margaret Hamilton. The legislation allows for a two year trial and for further extension of the license for three years if approved by the Secretary of the Department of Health and Human Services. Legislation does not allow for any further extension after that period.